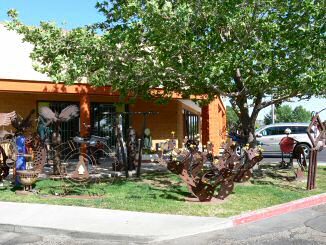 The Art Is... OK & Company Gallery & Sculpture Plaza is, like Amador Publishers, one of Albuquerque's long-standing cultural institutions. 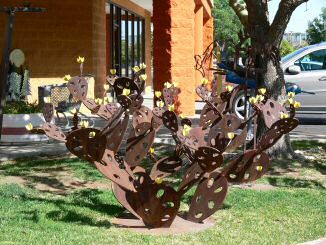 Founded by internationally acclaimed sculptor OK Harris, the plaza boasts one of the city's largest displays of outdoor sculpture. 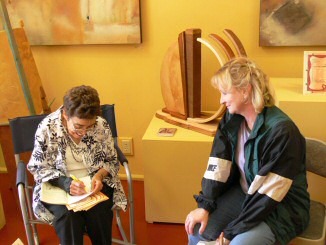 The indoor gallery is equally impressive, and provides a delightful community space for artists and art patrons to mingle. 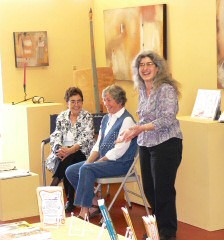 It has become a favorite location for Amador Publishers' semi-annual "Book Bash" event. Below: Approach to the gallery and "Cactus" by OK Harris. 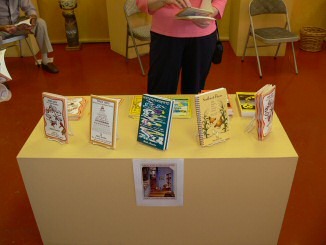 Above left: Books by Adela Amador. 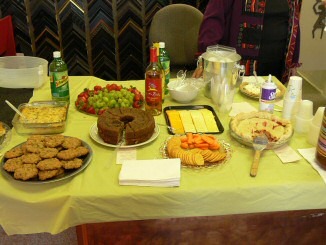 Above right: Refreshments included Corn Pudding, Fresh Rhubarb Pie, Fresh Apricot Loaf and Raisin Pie from Adela's recipe book, MORE GIFTS. 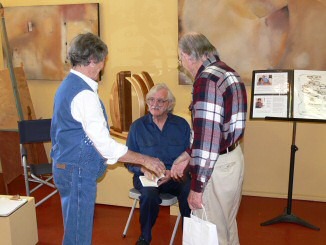 Harry Willson (above left) and Adela Amador (above right) sign books. 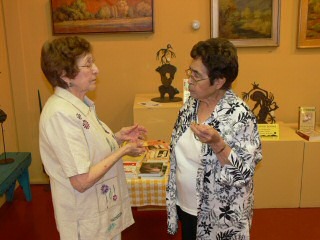 Below, Adela confers with her sister Vi. Above left: We couldn't have done it without our helper KC. Middle, left to right: Adela Amador and Claiborne O'Connor, and Zelda Gatuskin introducing our reluctant stars.